A chickadee feeds from my hand at the Humber Arboretum this past Saturday. Spring is the best time of year for us "bird nerds". Around the middle of April the migratory birds start to return, some species stay, nest and raise their families and others just stop in to feed and rest before moving on further north to do the same. Last weekend Rob and I were up and out of the house early to visit a few parks to see what we could see. The middle of April until about the end of May is the best time for birding. The trees aren't in full bloom yet, making it easier to see and the mosquitoes aren't out yet, making it more enjoyable for us humans. Our first stop on Saturday was "Riverwood Conservancy" in Mississauga. We visit this park throughout the year, and it is one of our favorites. We take part in the bird watching walks a few times a year, and also plan on getting more involved with the park as members and volunteers. A male Brown-headed Cowbird, one of the many birds back for the summer. After a nice two hour walk, with many bird sightings we decided we needed to "refuel" before going to our next location. We enjoyed brunch at Cora's before heading to the "Humber Arboretum". It was my first time there, Rob's second. It is beautiful! I highly recommend a trip there whether you're into birding or not. We roamed the grounds for another two hours and were delighted to see a few Northern Flickers and White-throated Sparrows, along with many other different types of birds. 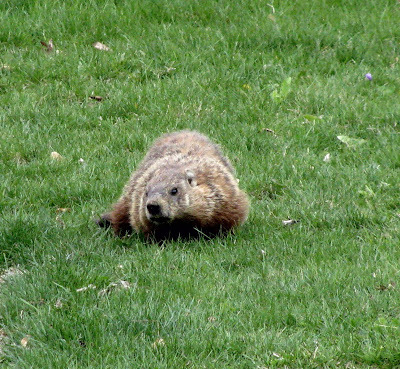 This groundhog greeted us as we entered the Humber Arboretum. 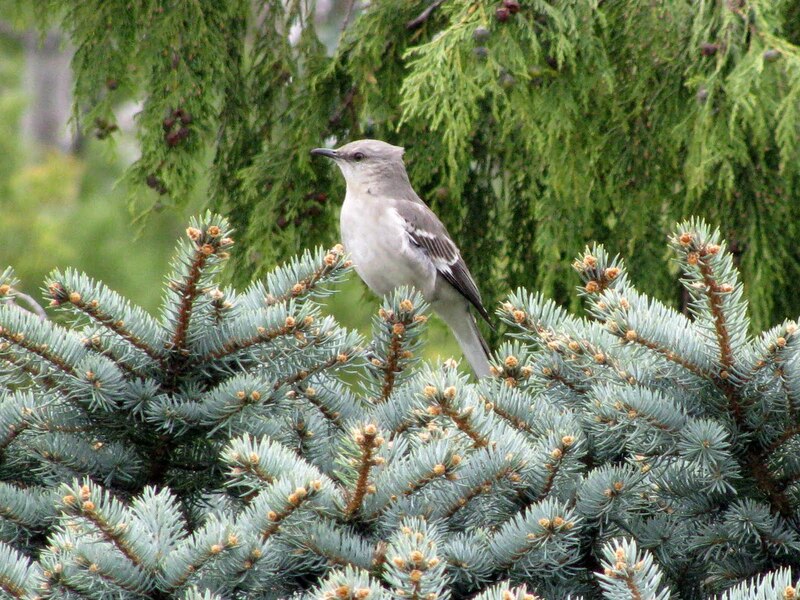 Our first bird sighting at the Humber Arboretum, a Northern Mockingbird. Having a half dozen or so Chickadees land in our hands to feed was how we ended our bird outing on Saturday, the perfect way to end the day! Sunday we decided to visit a park closer to home that we enjoy, "High Park". We got there nice and early before it got too busy. 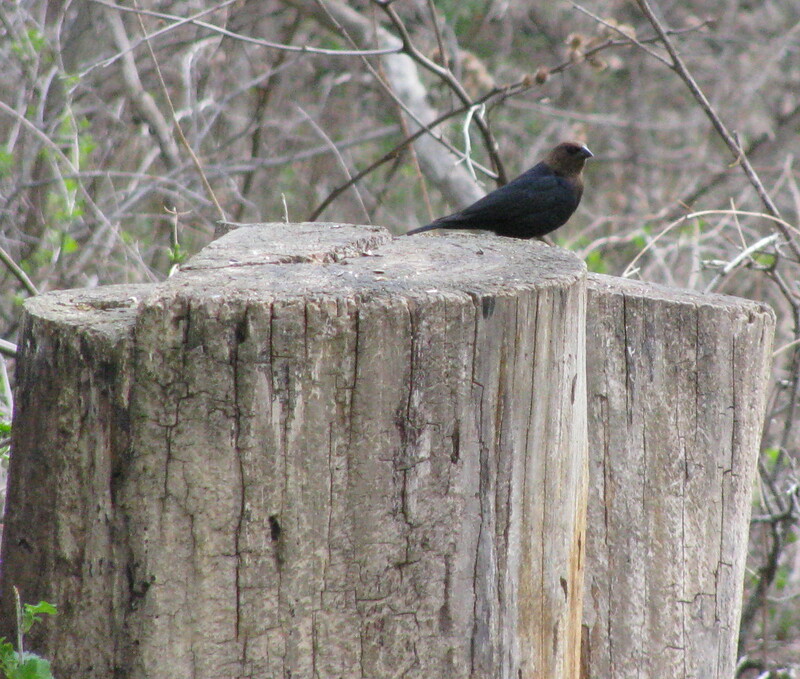 We were happy to see that the female Red-winged Blackbirds have arrived to nest with the males. The males arrive a few weeks earlier to establish nesting territory. 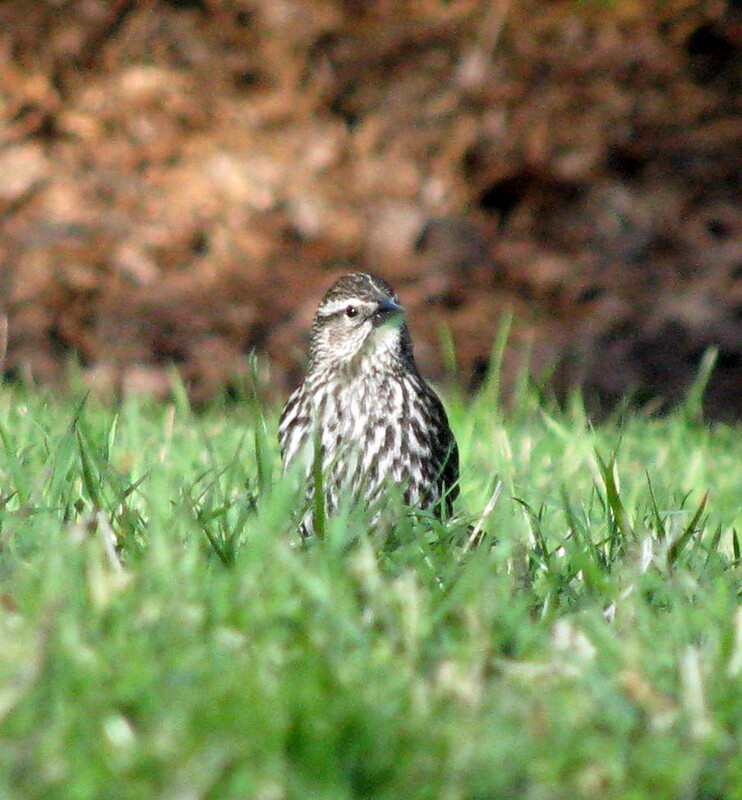 Female Red-winged Blackbird at High Park. You couldn't help but notice the forest of beautiful Cherry trees in High Park. They were getting lots of attention. Cherry trees at High Park. 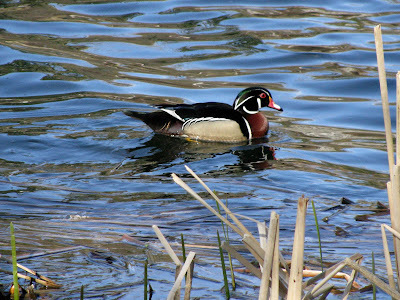 The highlight of our outing on Sunday was seeing a pair of Wood Ducks. More timid then Mallards, we were thrilled when we were able to feed them some duck food that they even got out of the water for. We fed and watched them for quite a while before their beauty started to attract some attention from others. Not one for crowds, they gracefully swam away to the middle of the lake to meet another pair. I never see that many birds!